Lunes a Domingo - 09:30-13:30 y 16:00-20:00 horas. Book online now and get a 10% off! 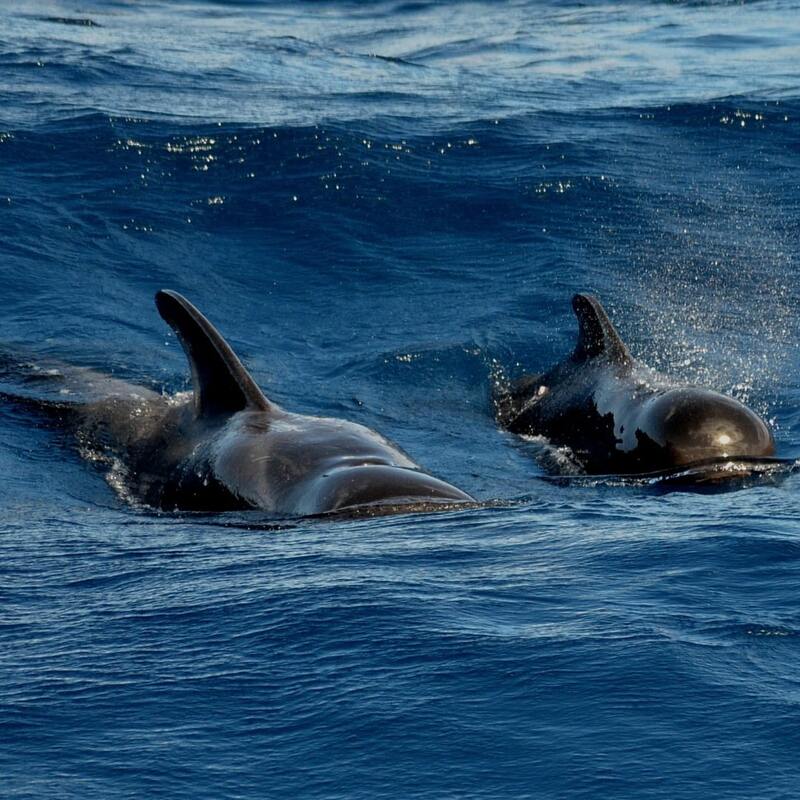 Live closely the cetaceans with privileged views. Feel its freedom in the ocean, its ideal place. 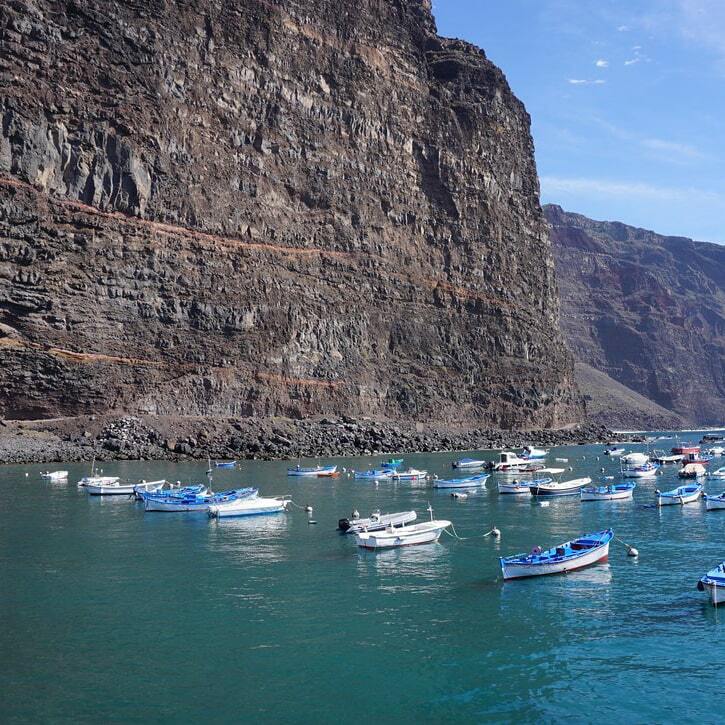 We have Been offering the best service to our clients from Valle Gran Rey, La Gomera for over 20 years. Una experiencia única en de compartir espacio con multitud de cetáceos en libertad, en el océano atlántico. Durante la excursión le ofrecemos un servicio de catering incluído con los mejores productos típicos locales. 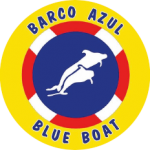 2 cubiertas para 80 pasajeros, 2 miradores submarinos y solarium en proa. 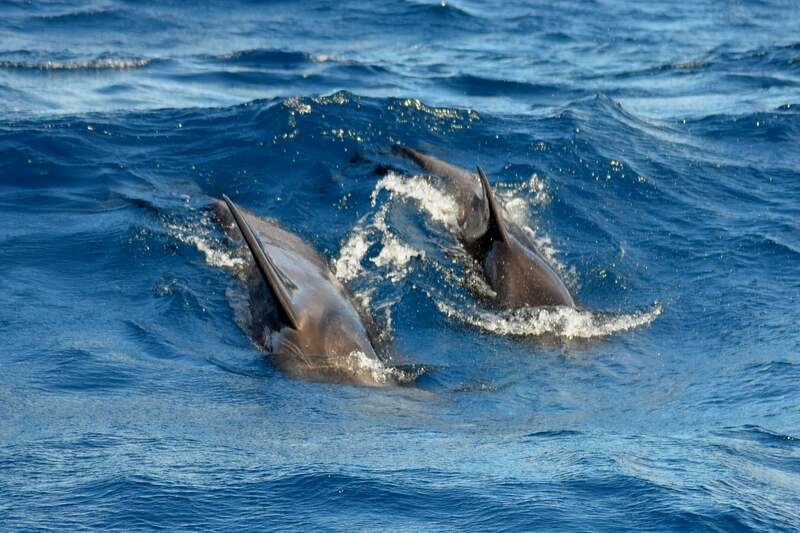 Our company is mainly focused on whale and dolphin watching tours, but we also arrange excursions between the ports of Valle Gran Rey and Playa Santiago. 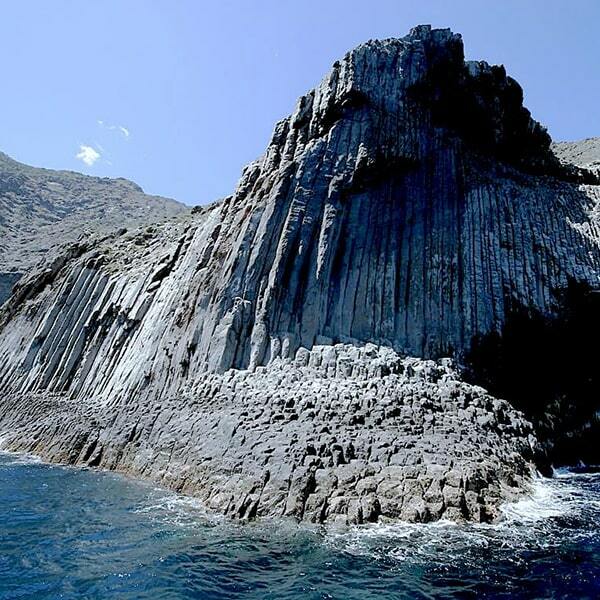 Weather permitting, we also organise visits to “Los Órganos” natural monument. 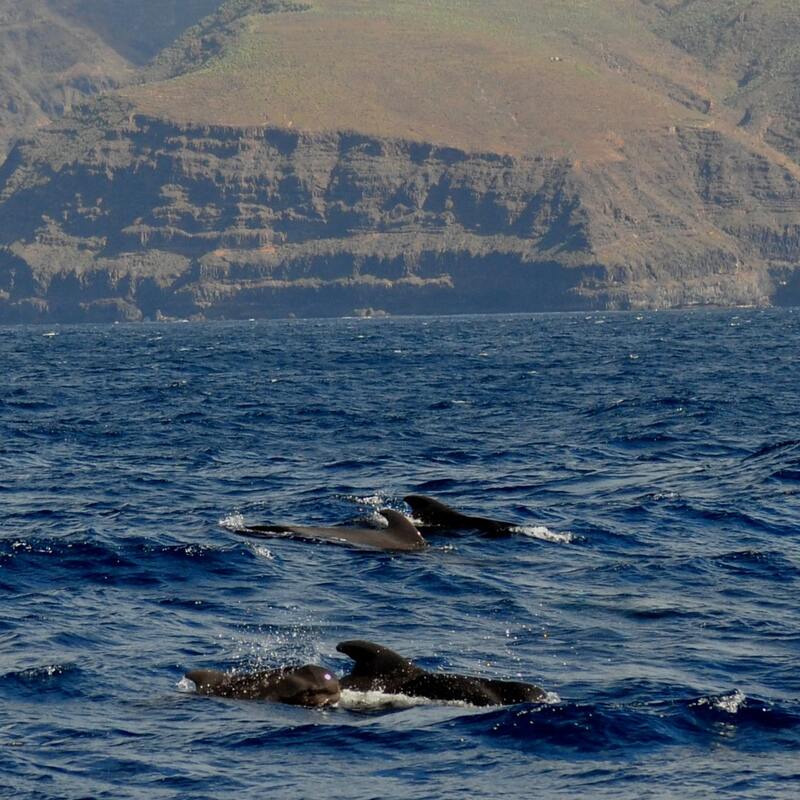 During our whale and dolphin whatching tours, once we have spotted them and had a chance to admmire them, we will ship towards a small cove on the coast where we will anchor for a little while to enjoy a swim and the food and drinks included in the price of these outings. 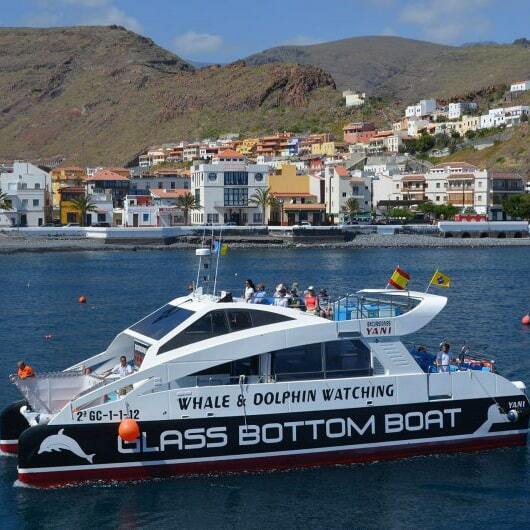 Book now and enjoy a unique experience aboard out exclusive catamaran. 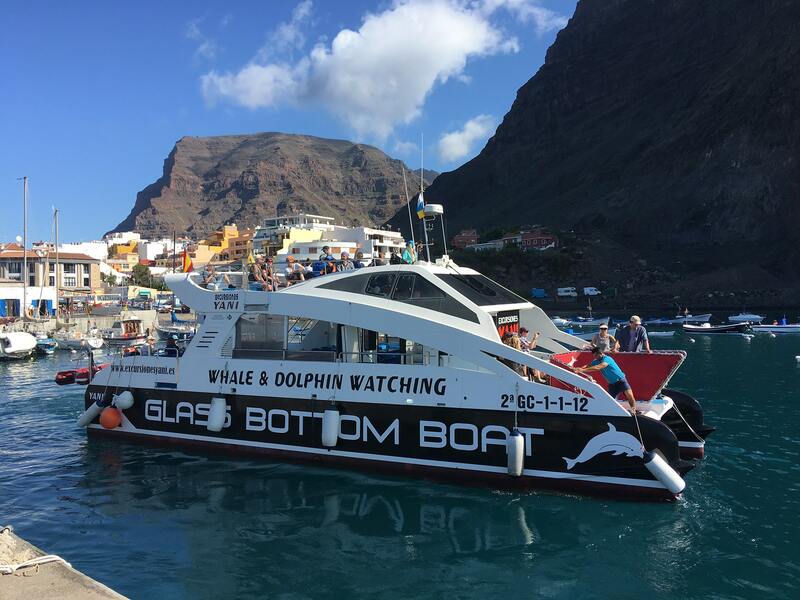 We have a catamaran with great visibility for whale watching, 2 decks with capacity for 80 passengers and 2 underwater lookouts to dive in the Atlantic and live an unforgettable experience with the cetaceans in freedom. 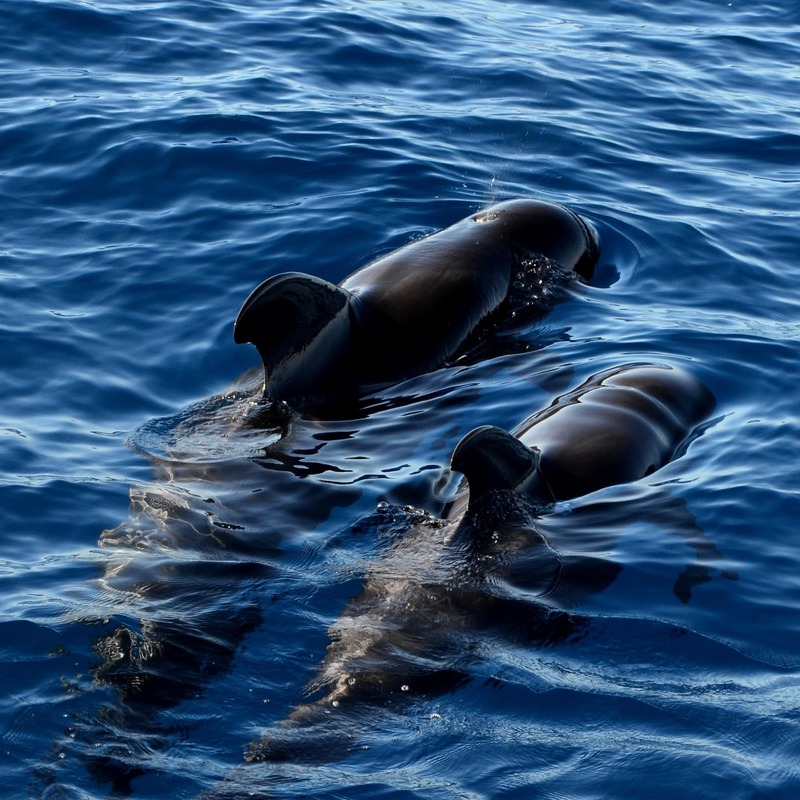 With our online booking system you can choose the best option for your experience, and select the day and time you want to immerse yourself in the world of cetaceans. Excursions Yani S.L. offers its services in Puerto de Vueltas in Valle Gran Rey, La Gomera. We do whale watching excursions between Valle Gran Rey and Playa Santiago, on board a catamaran with 2 transparent viewpoints in the bottom. Subscribe to our newsletter to get our latest news!